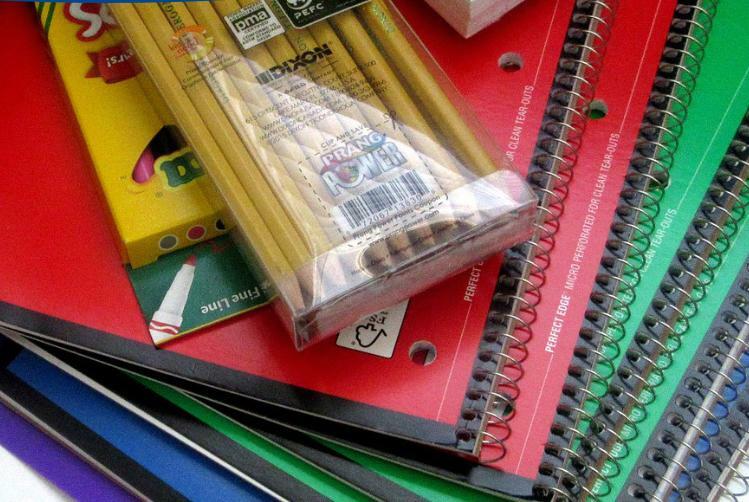 The New York Democrat is pressing the Consumer Product Safety Commission to take immediate steps to protect children from potentially harmful chemicals in their school supplies. Schumer is sounding the alarm that popular back-to-school supplies, when tested, were found to contain dangerous levels of toxic chemicals. "Earlier this month an independent research group called US-PIRG published a report that examined eight categories of common school supplies bought by parents each year. Crayons, markers, rulers, lunchboxes. According to PIRG, Playskool Crayons contained asbestos. EXPO markers had positive samples of BTEX, benzene, toluene, ethylene, and xylene, all harmful. Hydro Pro Furry Friends and GSI Outdoors Kids water bottles were found to contain lead. And three-ring binders tested positive for phthalates." Schumer wants the Consumer Product Safety Commission to investigate those products, alert the public, and recall items if necessary. "We know that asbestos, which was found in Playskool Crayons, has been shown to be extremely toxic. Inhaling or ingesting it can result in lung cancer or even mesothelioma. We know that BTEX, that's the one that was found in the EXPO markers, has been linked to disruption in liver, kidney and immune system function. We know that pthalates, which are popular in the plastics industry, and a common additive to PVC, have been linked to a plethora of health risks." Schumer also pointed to a 2008 Environmental Working Group report claiming that many lunchboxes are manufactured with toxic metals, and that some are even coated in lead paint. The Senator emphasized that no parent should have to worry about whether or not their child is being exposed to poison in their school supplies. He reiterated his message to the CPSC: "You must take immediate steps to protect New York students from potentially harmful chemicals in school supplies. And we need them in place before next year's school year." I write to call your attention to a critical issue that is potentially jeopardizing the health of students in New York and across the nation. Of specific concern are recent studies conducted by non-profits and consumer advocacy groups indicating that popular back-to-school supplies, when tested, contained dangerous levels of toxic chemicals. As the agency charged with investigating whether consumer products may pose a risk to the American public, I urge you to quickly analyze the products mentioned in those reports, promptly disseminate your findings to the public and if the Commission should find toxic levels of chemicals, move to recall those items immediately in order to keep consumers out of harm’s way. As you may know, earlier this year the U.S. Public Interest Research Group (PIRG) published a report that examined eight categories of ‘common school supplies bought by parents,’ such as crayons, markers, rulers, 3-ring binders, notebooks, glue, lunch boxes, and water bottles, for toxic chemicals. The results revealed from popular brands of each category were indeed alarming. 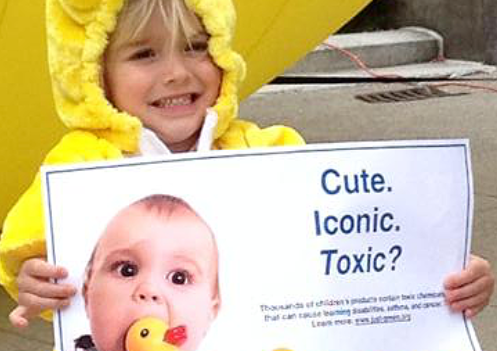 For example, Playskool Crayons were found to have Asbestos; both EXPO and The Board Dudes dry-erase markers yielded samples of BTEX (benzene, toluene, ethylbenzene, and xylene); 3-ring binders tested positive for phthalates; and Hydro Pro Furry Friends and GSI Outdoors Kids water bottles were found to contain lead. Even more concerning is that these revelations are not the first of their kind. A similar study conducted by the Center for Health, Environment & Justice (CHEJ) in 2012 found high levels of phthalates in children’s vinyl backpacks. Given the breadth and frequency of chemicals found in commonly purchased school supplies revealed by these studies and the high likelihood that they are being purchased by unsuspecting parents, it is critical that your agency make an immediate investigation a top priority. With back-to-school season already in full swing, millions of parents are stocking up on school supplies in order to prepare their children for the upcoming school year. In order to complete this process in a manner that ensures parents can make informed decisions, it is critical that they be armed with information that enables safe purchasing choices. As you know, asbestos exposure has been shown to be extremely toxic, sometimes resulting in lung cancer or mesothelioma. Similarly, phthalates, a popular chemical in the plastics industry, have been linked to developmental and reproductive issues. Lastly, the dangers of brain injury as a result of lead have been clearly documented. With this in mind, it is clear that the results of an investigation could be key to keeping students safe. Parents should never have to worry about which brand of school supplies may put their child in harm’s way. I applaud the Commission for the many steps it has taken to ensure our nation’s kids are protected from adverse toxins and unsafe products and I fully expect that work to continue with this issue. Thank you for your consideration and I look forward to working with you on this and future issues. 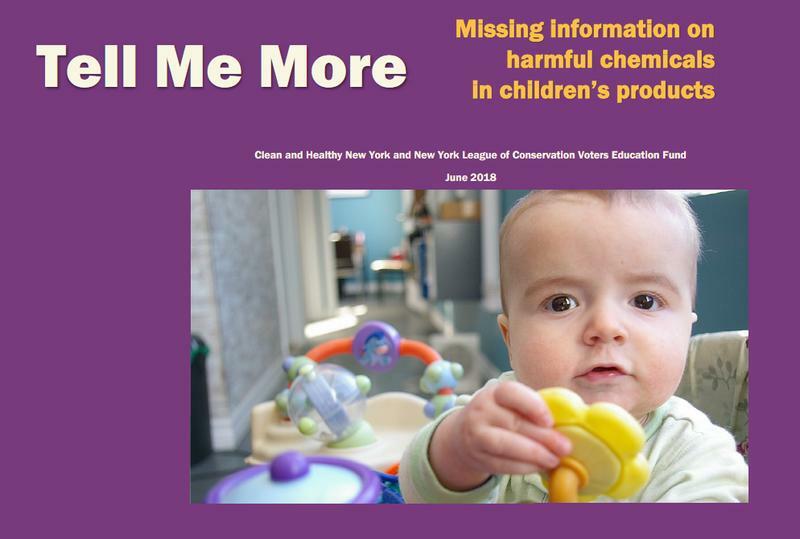 A new report sounds the alarm about dangerous chemicals detected in children's products purchased in Albany and Westchester Counties and on Long Island. Albany County Executive Dan McCoy signed the so-called 'toxic toy' ban on Wednesday, banning the sale of children’s toys and other items which contain potentially dangerous chemicals. Last fall, consumer advocates released a list of toys that contain harmful chemicals like lead and arsenic. 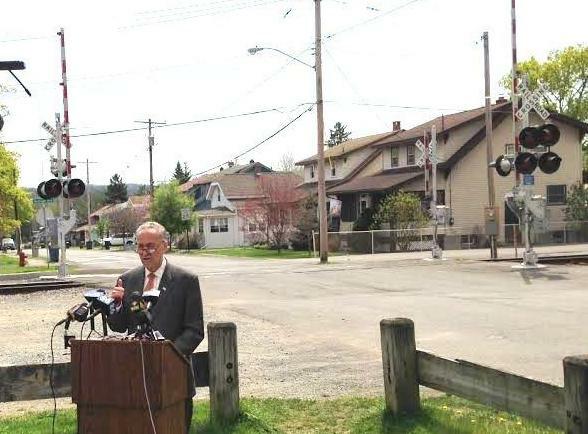 U.S. Senate Minority Leader Charles E. Schumer has launched a push to expand railroad bridge inspections and increase the number of federal bridge safety specialists nationwide.